Noted BMW tuner AC Schnitzer has been in the tuning game for three decades and the company is preparing a special edition package to commemorate its 30th anniversary. And it’s only fitting with the 2017 Geneva Motor Show just around the corner. 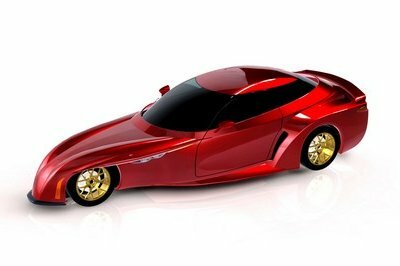 This, ladies and gentlemen, is the ACL2S, an evolved version of the ACL2 Concept the tuner showcased at last year’s Geneva show. Befitting its status as a legitimate anniversary piece, the ACL2S will not only be limited to just 30 units, but just as important, it was developed to encompass the tuner’s storied history as the quintessential tuning shop for all models wearing the BMW badge. There’s a lot to piece through here, but it is quite obvious from the photos that AC Schnitzer has another winner on its hands. 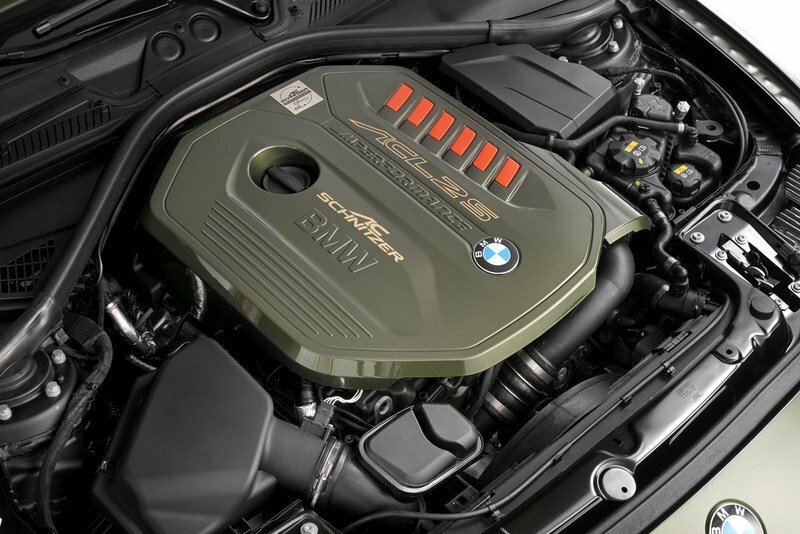 Not that people need to be convinced of that, but for those who are curious to know why the ACL2S is as good a celebratory special edition as there is in the market today, evidence can be found under the M240i’s hood where Bimmer’s new 3.0-liter straight-six B58 engine resides. Even with a few extra cc’s and a slightly larger turbocharger, the German tuner still put in the work to get the output up to 400 horsepower and 442 pound-feet of torque. Don’t look now, but those numbers actually slot comfortably between the BMW M2 and the BMW M4. Beyond the impressive power gains, the ACL2S is also defined by extensive upgrades on the car’s exterior and interior, all of which come with the full scope of AC Schnitzer’s patented aftermarket expertise. 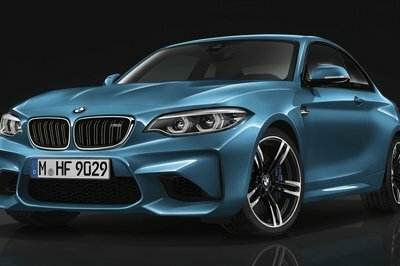 The attractive 30th-anniversary special edition M240i will no doubt turn some heads when it makes its official debut at the 2017 Geneva Motor Show. From there, it should be a mad dash to scoop up one of the 30 units that AC Schnitzer is going to make available to the public. One look at the BMW M240i ACLS2 and you can immediately tell that it went through a significant amount of changes from where it looked like in standard form. 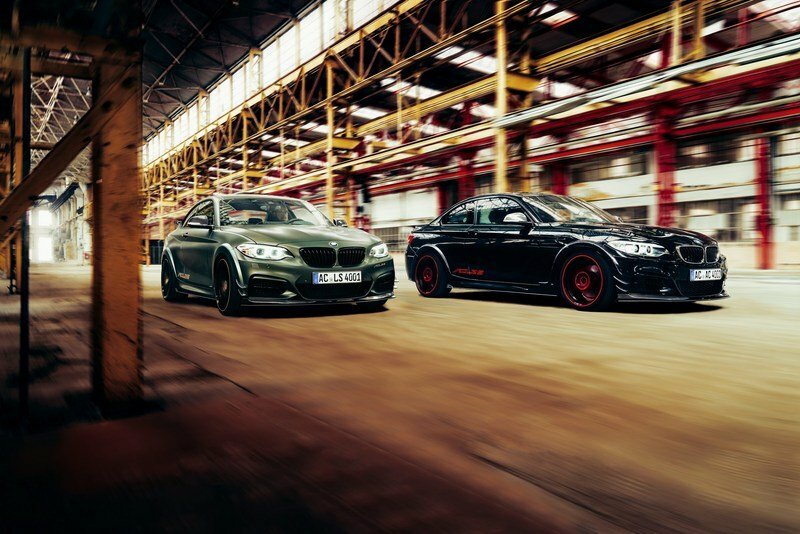 That’s neither an accident nor a coincidence because AC Schnitzer put in the time and the work to prepare an extensive 10-piece aerodynamic wide-body kit that places emphasis on making the M240i look the part of a meaner and more menacing sports car. Up front, the goodies start with a bespoke carbon front spoiler, a front splitter, and the carbon front side wings that all look at home in the M240i. The fact that even the BMW M2 doesn’t have the spoiler and splitter tag-team speaks to the attention to detail that the German tuner put into its special edition anniversary-tinged creation. Move to the sides of the car and you’ll see new side skirts and carbon fiber side mirrors while at the back, some heavy-hitting components are all there, including a choice between a rear roof spoiler or a carbon fiber rear wing that help improve the car’s downforce and a carbon rear diffuser that makes room for a new exhaust and four sport tailpipes. The wider wheel arches are another understated addition to the M240i. Not only do they help accommodate bigger-than-usual wheel sizes, but they also play a role in expanding the coupe’s overall width by as much as 80 mm (3.15 inches). Speaking of those wheels, AC Schnitzer’s exterior upgrade program for the M240i is finished off by a new set of its very own 19-inch AC1 alloy wheels that come in a standard black and silver finish. There are options to put some color to the wheels in case the standard set isn’t to your liking. Cosmetic badges featuring AC Schnitzer’s badge and some “ACLS2” decals have also been thrown in for good measure, at least in case some people need to be reminded of the model’s outright exclusivity. If we’re going to be technical about it, there haven’t been any notable programs that have been made available to the BMW M240i. Remember, the M240i and the M2 are two different models. 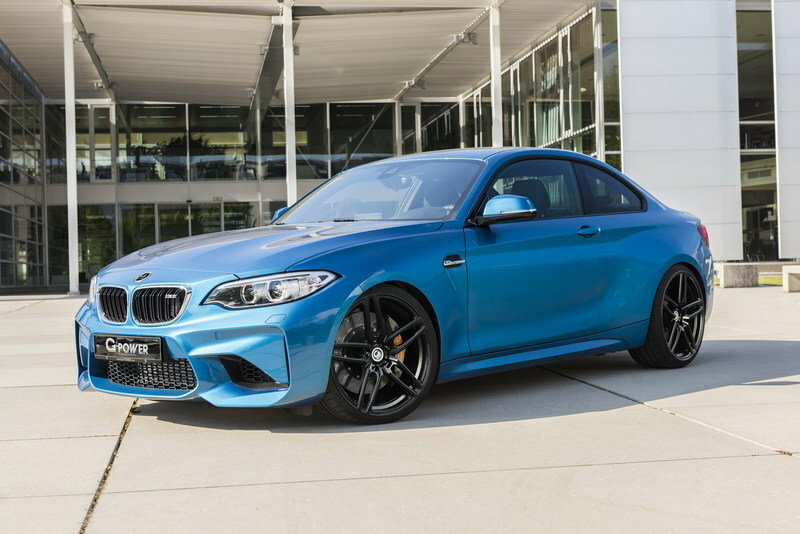 In that light, we’re going to make an exception here because the M2, for all intents and purposes, has been an aftermarket favorite and a lot of the programs available to the M2 fall in the space of what AC Schnitzer developed with the BMW M240i ACLS2. 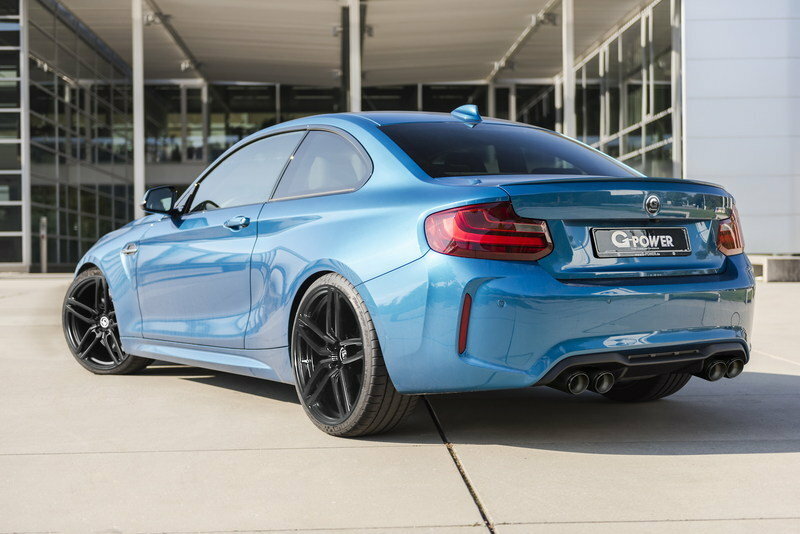 One such example is G-Power, which has a body kit for the M2 that includes components similar to what the ACLS2 has. Up front, there’s a new splitter with extra inlets. 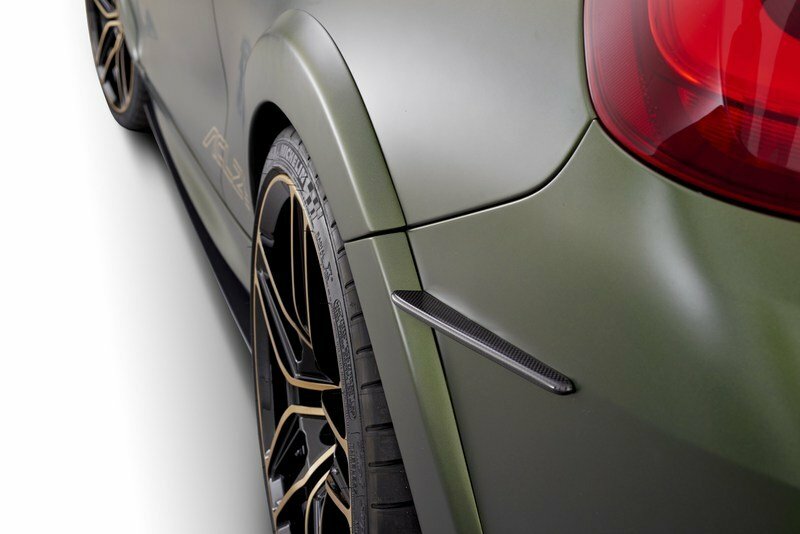 Side sills are also part of the aerodynamic kit, as well as a revised rear bumper, a small diffuser, and a trunk lid spoiler that itself comes with tiny winglets on each side. The tuner also has its set of wheels - 20-inch Hurricane RR forged alloys - to complete its exterior upgrade program for the M2. Another tuner with a sweet exterior program for the M2 is Alpha-N Performance, which features a carbon fiber front spoiler with an adjustable air splitter in its tool box of updates. 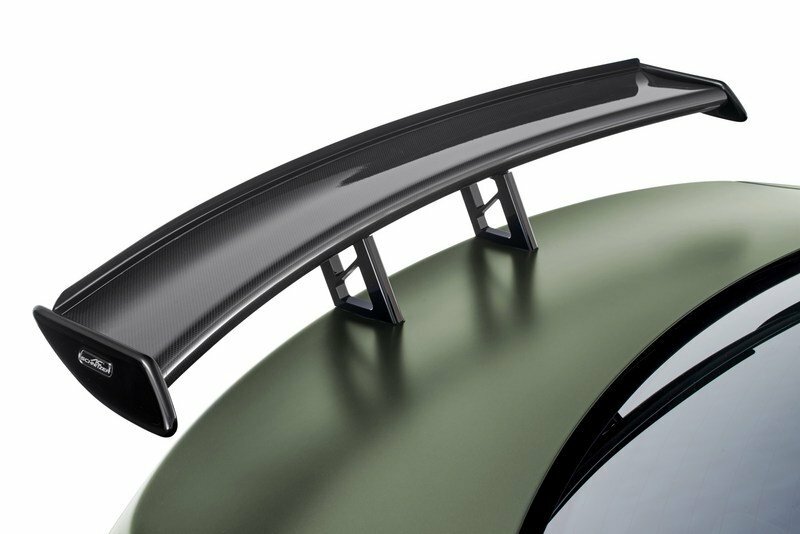 A four-position adjustable carbon-fiber rear wing is also part of the tuner’s kit and a carbon fiber roof panel that helps aid in dropping the coupe’s weight to where the tuner wants it to be. Not surprisingly, a new set of wheels is also included in Alpha-N’s program for the M2. In this case, customers are offered a set of 19-inch OZ Superforgiata lightweight alloys. There aren’t that many interior upgrades for the ALCS2, but that’s to be expected since AC Schnitzer prioritized quality over quantity in this section. Even with the minimal upgrades, the tuner still made the ALCS2’s interior pleasant to the eyes with a host of interior trim that includes a black-anodized aluminum handbrake handle, an aluminum pedal set, and aluminum footrest, both of which, mind you, are matte-anodized, and velour floor mats. As extra options, the German tuner is also offering Recaro sports with a two-color leather combination and a three-spoke leather steering wheel with color-matched stitching. Last but certainly not least is a stainless steel badge that reads "ONE OF THIRTY" with laser-engraved text and the ACL2S logo, both of which serve as a good reminder to everyone on the outright exclusivity of the model. Like in the exterior, we’re touching on what at least one other tuner has prepared with its own program for the BMW M2. 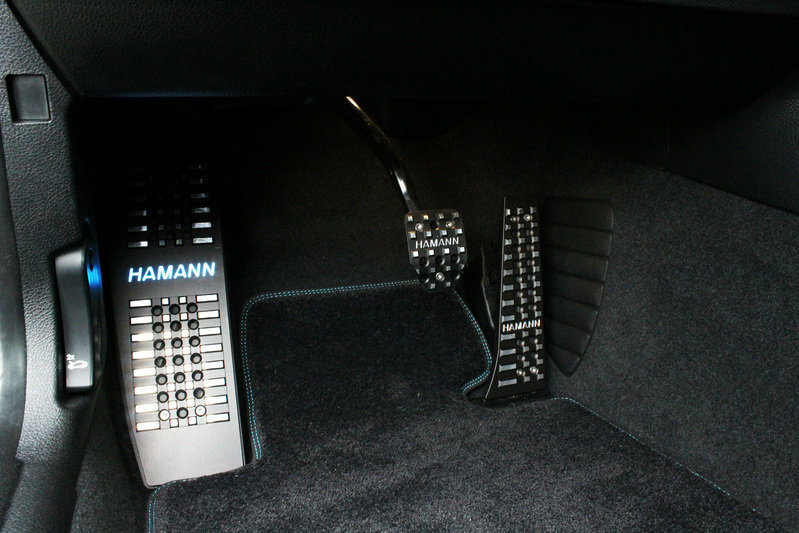 The aforementioned Hamann tuning kit includes its own modest upgrade with the only notable items being aluminum footrests and pedals, as well as LED door entry illumination. Unfortunately, that’s the extent of interior upgrades that are available for the M2 from other tuners. It has become the status quo for these companies to leave the M2’s cabin alone so if you’re looking for a nice dress-up in that section of the car, our choices are limited to only a few tuners, a category that includes the likes of AC Schnitzer and Hamann. The good news is that owners of either BMW M240i or the M2 can go directly to BMW to address this need, if there is one in the first place. Bimmer, for example, has the M Performance Pack to offer to those looking for some new parts and accessories for either of the two models. 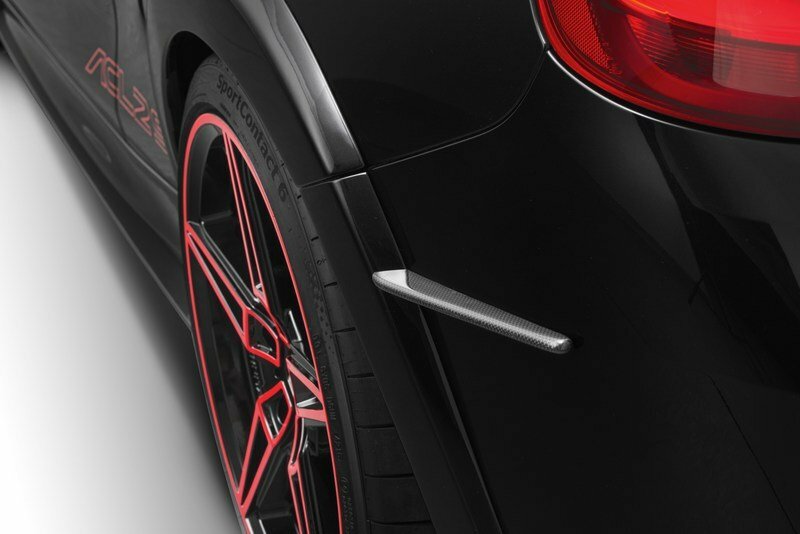 There’s an option to get a flat-bottomed racing wheel with paddle shifters and other controls in red illuminated gauges. Then there are the extra options, which include Alcantara wraps on parts and sections like the previously mentioned M Performance steering wheel and center console. Carbon fiber is also another option to consider as you can avail of the material and use it on the shifter knob and its own surround. AC Schnitzer’s BMW M240i ACLS2 special edition car is defined by a lot of things, none more important than what the tuner did to the coupe’s new 3.0-liter inline-six engine. The engine upgrade is mostly of a software nature as the tuner relied on an ECU remap to bring out more horses out of their stables. Combine that with the addition of a custom air intake, an exhaust and downpipe, and high performance silencers made from stainless steel with different chromed tailpipes, and you get a rip-roaring sports car that has an improved output of 400 horsepower and 442 pound-feet of torque. The German tuner didn’t say how the power gains affect the car’s performance numbers, but since a standard M240i with all-wheel-drive capabilities can accelerate from 0 to 60 mph in 4.2 seconds, it’s not inconceivable for the ACLS2 to cover the same distance in four seconds flat. 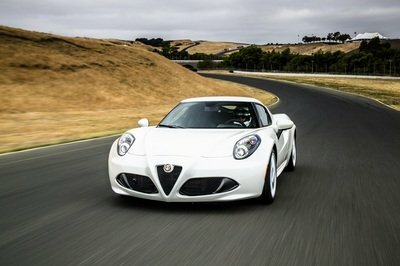 On the flip side, top speed is likely to remain at 155 mph. This is where it gets interesting because the sheer number of tuners that have engine upgrade programs for the BMW M2 is, well, staggering. 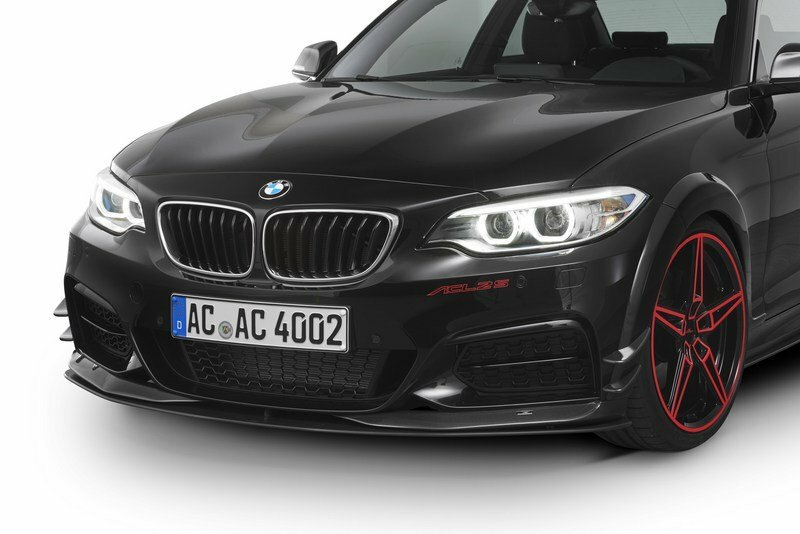 We’re not going to go through each and everyone of them, but we have picked out some aftermarket firms that have presented tuning kits that offer similar results to what AC Schnitzer is offering with the M240i ACLS2. First up is Evolve Automotive, which has a similar strategy than AC Schnitzer. That plan features an engine ECU tune and modifications to the air intakes and exhausts. It’s no surprise then that Evolve was able to squeeze out 401 horsepower and 450 pound-feet of torque out of the M2’s turbocharged six-cylinder engine. Roughly identical numbers, right? That said, Evolve says that with its program installed, the M2 is capable of covering 60 mph from an idle position in 4.2 seconds while top speed also remains at 155 mph. The next tuner is Hamann. 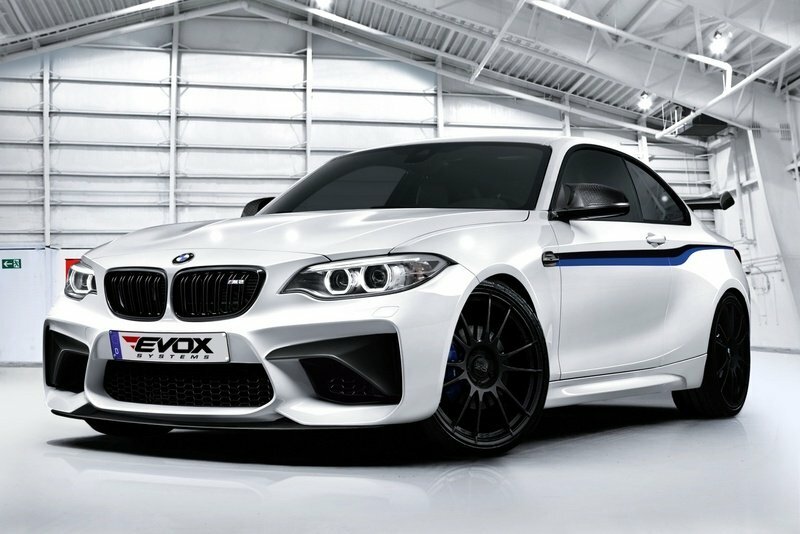 Yes, it provides one of the most comprehensive aftermarket tuning programs for the BMW M2 and for good reason. Hamman is one of the best in the business at what it does and is considered a legitimate peer and sometimes rival to AC Schnitzer. It’s fitting then that Hamann’s tuning blueprint for the M2 is also about the software, which in this case involves tweaks to the M2’s ignition mapping. 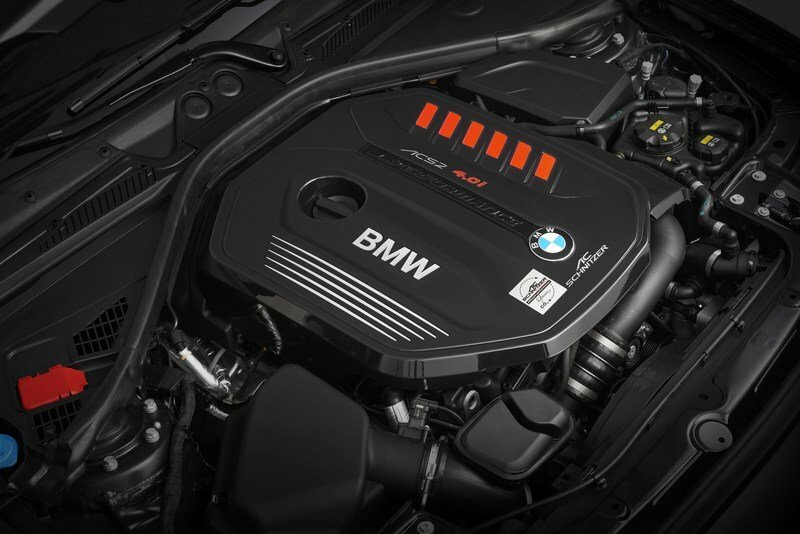 The result from that nipping and tucking is an output of 420 horsepower and 391 pound-feet of torque, slightly higher in terms of outright horsepower than the ACLS2 but a little short on the torque figures compared to the special edition M240i. Still, Hamann’s program can also do 0 to 60 mph in just 4.2 seconds with a top speed that’s pegged at 180 mph provided, of course, that the car’s speed limiter was removed. The last one tuner we’ll profile here is G-Power, a company that holds numerous top speed records from a lot of the programs it’s built over the years. Sadly, this one doesn’t count as one of them even though it’s still good for 410 horsepower and 420 pound-feet of torque on the crank. The tuner hit this number courtesy of two of its very own tuning modules – the Bi-Tronik 2 V1 or the Bi-Tronik 5 V1 – that customers can choose from. Either way, the output remains at the said number and the performance figures amount to a sprint from 0 to 60 mph in about 4.2 seconds to go with a top speed of 180 mph. 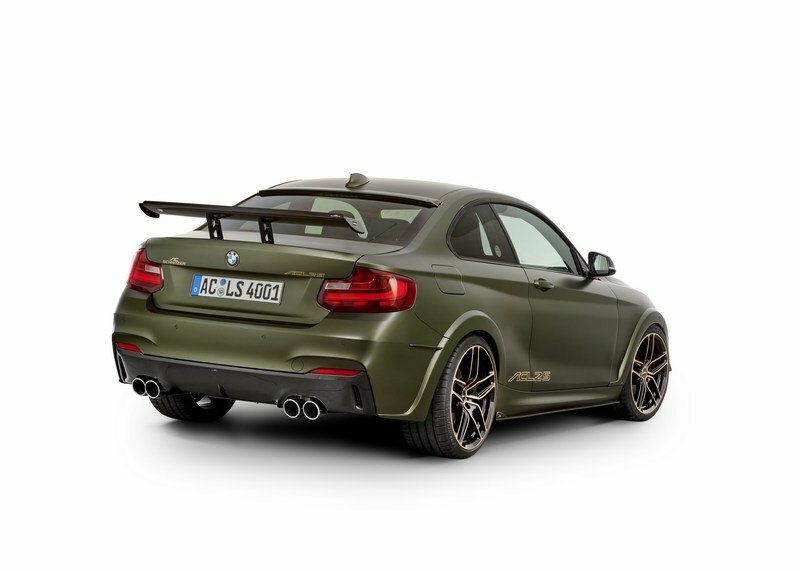 While we’re at it, let’s look at what AC Schnitzer’s program for the BMW M2 is all about. Just like its kit for the ACLS2, AC Schnitzer is offering engine modifications that are mostly of the software variety, although it did add a charge cooler into the mix that helps improve the engine’s efficiency, something that can spell wonders for the M2’s 3.0-liter turbocharged six-cylinder engine. 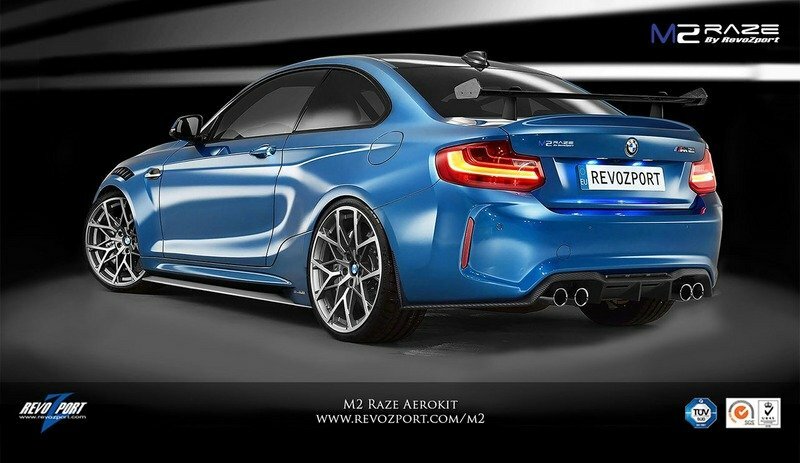 All together, AC Schnitzer was able to increase the M2’s output to 420 horsepower, only 20 horses more than the ACLS2. Interesting, right? For a clearer look at how AC Schnitzer’s M240i ACLS2 special edition sports car compares to BMW M2 tuning programs, take a look at the table below. This is the most anticipated section of any review because it’ll ultimately determine whether AC Schnitzer’s BMW M240i ACLS2 is going to worth its special edition status. Well, depending on how deep your pockets, the entire upgrade package costs €35,900, which converts to just under $38,000 based on current exchange rates. Now let’s do the math here. The base price of the BMW M240i is $44,500 so if you add that to the price of the package – let’s put it up at $40,000 – to have some room for added costs, that gives us a total amount of $84,500 for a super limited (only 30 units), heavily modded BMW M240i ACLS2 that produces 400 horsepower and 442 pound-feet of torque, can sprint to 60 mph in the lower end of four seconds, and has a top speed of 155 mph. Good deal? I’d say so. 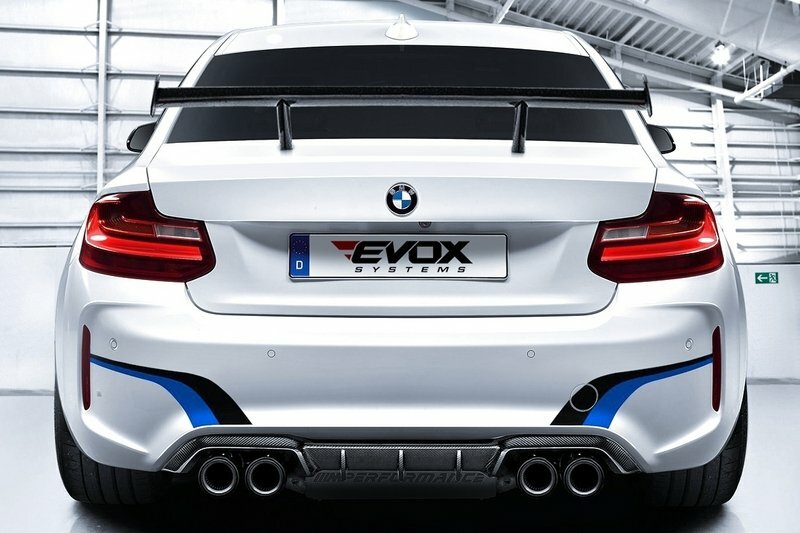 Since we still don’t have enough tuning kits available for the BMW M240i, let’s take this opportunity to once again shine the spotlight on some other programs for the M2 that weren’t mentioned in the “Drivetrain” section. 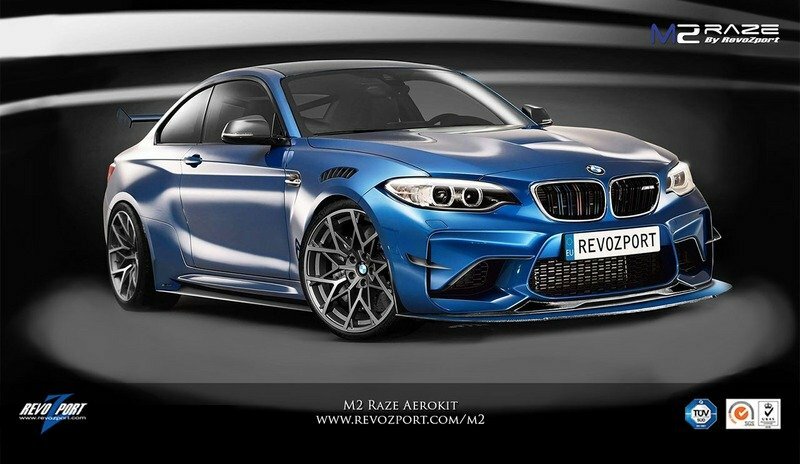 One of the most recent programs for the BMW M2 comes by way of RevoZport, which prepared one of the more software-centric engine programs for the sports coupe. While it did add a new intake system and a free-flow lightweight titanium exhaust, the tuner still managed to bring the car’s output up to 480 horsepower, which puts it on the top-shelf among tuners that have similar programs available for the car. So far, this is one of th more impressive tuning programs we’ve seen done on the M2. 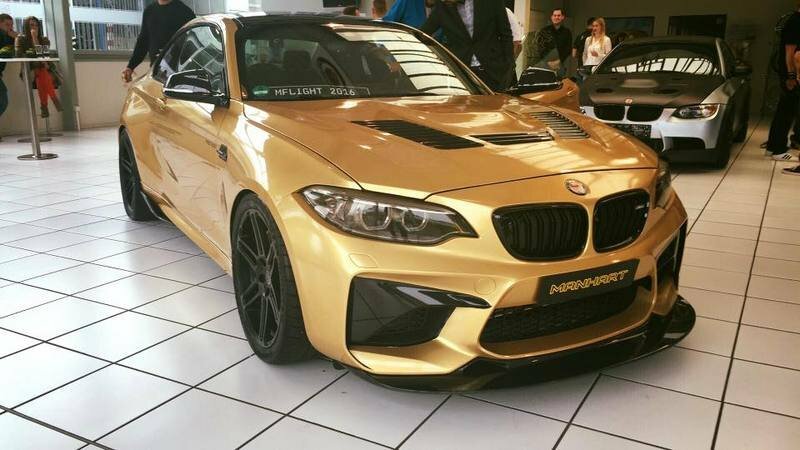 It comes from Manhart Racing and while it is a one-off, it does provide a glimpse into the tuning possibilities of the M2. 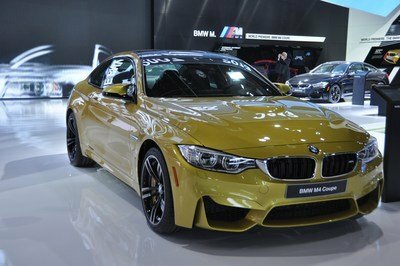 In this case, Manhart didn’t just do a software nip and tuck, it actually replaced the M2’s 3.0-liter turbocharged six-cylinder N55 engine with the BMW M4’s S55 twin-turbo six. Once the swap was done, the German tuner performed some extra tweaks to the new engine, bringing the car’s overall output to 630 horsepower, a staggering increase from the M2’s standard output of 365 horses, not to mention the M4’s N55 engine, which peaks at 431 ponies. Manhart Racing didn’t announce the torque number post engine swap, but somewhere around 600 pound-feet of twist should be in the cards. Of all the years I’ve covered the Geneva Motor Show, I will cop to imagining bringing home some of the cars that were a part of the show. I think everybody does that anyway, right? Well, I’ve done it in the past and I’m going to do it again when this year’s event opens its doors next week. On that note, you can be sure that AC Schnitzer’s BMW M240i ACLS2 already has a spot on my Geneva wish list. 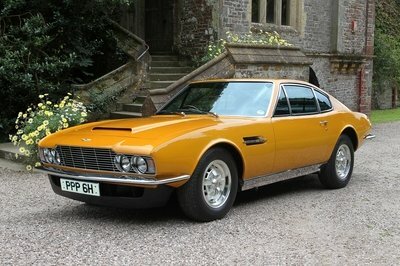 Really, what’s not to like about this beauty? It looks the part of a menacing sports car. It has a lot of aftermarket aerobits in it. It’s got more power than a standard BMW M2 and is within whiskers off of the BMW M4. Best of all, it’s only limited to 30 units, which means that if I end up owning one, I’m only sharing that distinction with 29 other people…in the world. Granted, the price is admittedly steep since I could get a base M4 for just $66,200. But for what it has, the status it represents, and its overall limited quantity, I wouldn’t mind paying that much for the car. At the very least, I’d be owning arguably one of the most exclusive aftermarket-prepared BMW M models in the world today.